The date has been confirmed and we should now start saving money for the much-anticipated release of the Air Jordan “Golden Moments” pack. 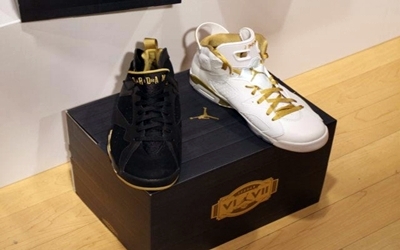 The Air Jordan “Golden Moments” Pack, which includes the Air Jordan 6 and 7 “Gold Medal” edition, will be hitting the market on August 18 – almost a week after the closing the 2012 London Olympics in which the USA Men and Women’s basketball squad are expected to grab the gold medal. The packagings has also been revealed and from the look of it, expect this one to gain more attention than expected so make sure to mark your calendars now and grab one immediately on the 18th of August.